This week I spoke with a competitive intelligence manager in the auto industry, who has engaged about 1/3 of his workforce in his competitive intelligence program. I think that’s pretty awesome! His key audience is sales, and he also serves product management and account managers who service the accounts. I felt a kindred spirit in our discussion since we both came from sales before plunging into competitive intelligence, although that was 30 years ago for me. I was impressed with what he had accomplished in three years and will share some of his best practices, geared mostly to gaining competitive intelligence from sales people. I appreciated his attitude to try new things. 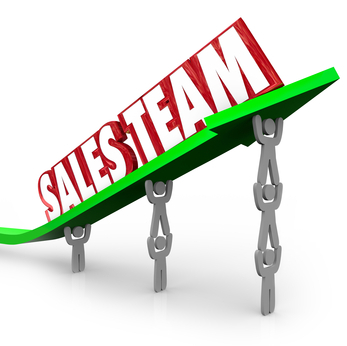 For a while, he tracked which sales were made after he gave a sales rep some information to help. He was looking to show management a ROI for his work. Sales didn’t appreciate this since his guidance wasn’t the only reason they won the deal. He discontinued this practice as soon as he learned that it was not popular with Sales, as they are both his major client and source of competitive intelligence. Sales force management is anxious to learn how they can close more deals, so I suggested that he consider a win loss analysis program. Since his company closes thousands of deals per year, he was concerned that he might have to conduct hundreds to be statistically significant. When I asked what his specific goal for win loss is, we agreed that 100 win loss interviews could go a long way to gather in-depth customer intelligence, which appears to be a weaker link. He produces videos and said Sales didn’t look at them as much. I suggested that he produce podcasts on competitors, new announcements etc., since sales spends a lot of time in the car. Perhaps he could interview a sales person who just won a major deal, or perhaps a win back. What are some of your best practices to gather or give competitive intelligence to your sales reps? Here is a timeless article, Capture Competitive Intelligence from Sales.